The naturalist and explorer Alexander von Humboldt (1769-1859) achieved unparalleled fame in his own time, particularly in the U.S. Today, however, he and his enormous legacy to American thought are virtually unknown. 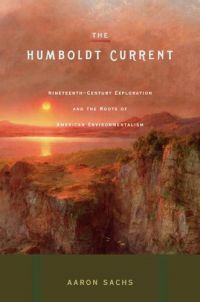 In The Humboldt Current, Aaron Sachs seeks to reverse this undeserved obscurity by tracing Humboldt's pervasive influence on American history, specifically looking at the lives and careers of several nineteenth-century explorers who used Humboldt's notion of "unity in diversity" and his open-hearted spirit of exploration to develop a critique of their increasingly industrialized society. Light shelfwear. Remaindered copy with a black line on page bottoms. Otherwise unmarked and like new.